Kavya Lights her pallu with fire & Shouts! Swaragini 2nd March 2016 Written Updates :- In the TV series “Swaragini” it has been yet to show that 2 sisters now Swara and Ragini will be tie up to expose Kavita and her evil intentions. Ragini finally decided to support Swara for her mission and she is literally supporting her sister to do so. This is the main theme of the show which is the highlights the show also. Indeed it will be depicts bond between two sisters. Now Swara is in her in-laws-house to support Maheshwari and Swara is there as the Maheshwari family’s elder daughter-in-law. 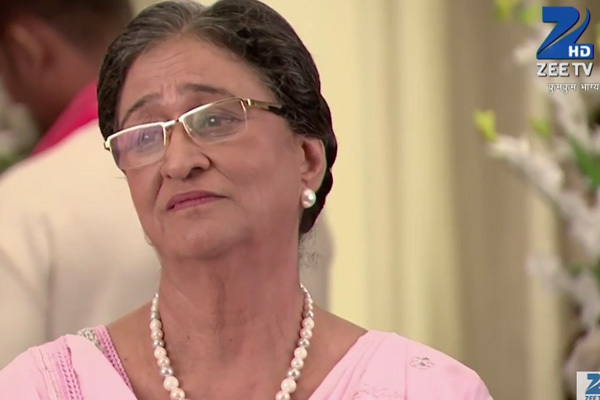 But because of Swara’s mission she has been disown by her father Shekhar and the Dadi. But Swara leaves her Maikaa to start her married life with Sanskar. .
Shekhar intends to sell his house in Kolkata and relocate to Bikaner with his family. On learning about Shekhar’s plan, Sharmishtha and Ragini express their views the impulsive decision taken by him. In the upcoming episode of the TV series “Swaragini” it will be shown that it will be Swara comes to know about Shekhar’s plan to dispose the house, she visits her Maayka to stop her father from doing so. But she is humiliated by her Dadi and the Dadi will also drive Swara out from the house. So Swara and Ragini decide to prevent their dad from leaving the city as the whole Goradiya family now need to be reunited.